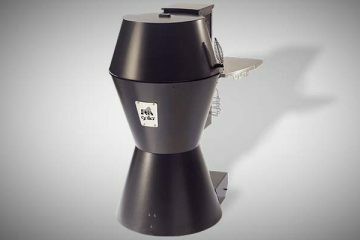 Masterbuilt smokers seem to dominate a lot of the discussion when it comes to Electric Smokers. 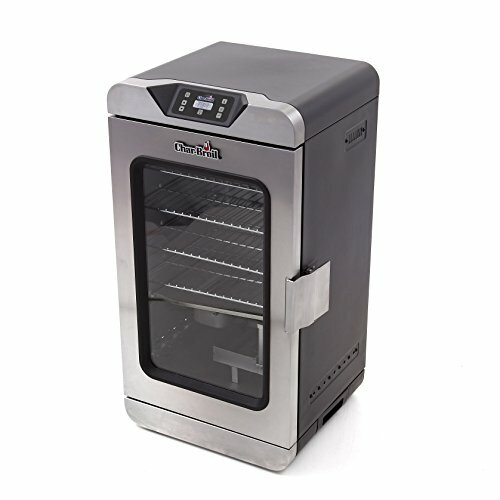 And while they are definitely worth considering, Char-Broil quietly produce well sized, affordable electric smokers that could easily give them a run for their money. 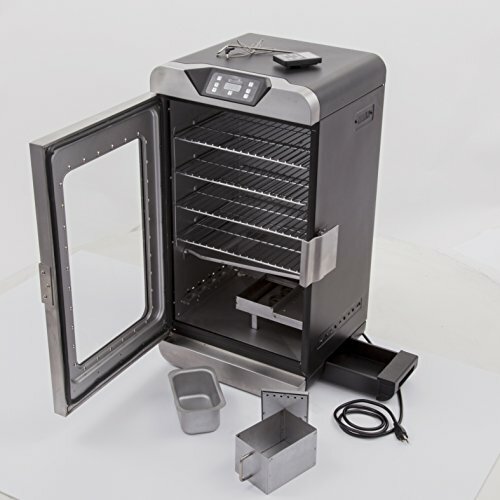 In this review we take a look at the 725 Square Inch Deluxe Electric Smoker. This unit is on the larger side, but thanks to the cheaper price point for electric smokers it fits squarely into the value for money end of the spectrum. 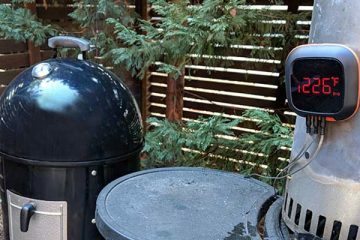 The Char-Broil made was included in our round up of electric smoker reviews. The first thing you notice about the Char-Broil is the large glass door. 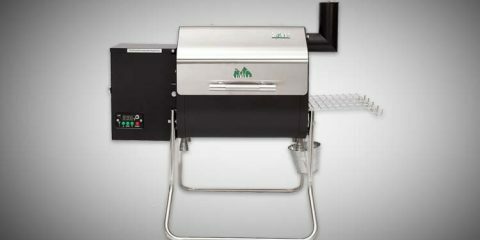 While several brands of electric smoker come with a glass door option, Char-Broil makes it mandatory. The glass on the front door is a plus for the most part. You can see into the entire smoker without having to let out the heat and smoke by opening the door. The seal on the door is tight, so when it is latched into place the smoke will not escape. With 725 square inches of cooking space the interior offers more room than many models out there on the market, which means you can smoke a lot of meat at one time. The four racks are adjustable, which can give you a variety of cooking options ranging from racks of ribs, hams, or even smaller turkeys. Each of the four racks is able to handle 10-pounds of meat. You may find that you need to cut a couple of ribs off of a full rack to get them to fit inside the smoker. The wires on each rack are spaced far enough apart to allow for even smoking while still supporting the meat securely. The video below gives you a good feel for how the Char-Broil works. The smoke box that holds the wood chips is large. The greater capacity allows you to smoke from four to seven hours before you need to refill it. This frees you up to do other things besides standing near the smoker all day long. The water pan is removable, but it should always be in place when you use the grill (even if you do not have water in it). 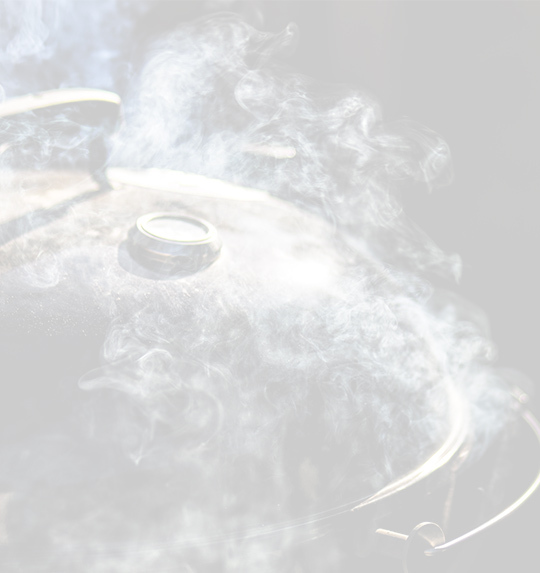 Adding water to your smoker helps to keep the meat moist, and the pan is large enough to water for the job. It does have a max watermark that you do not want to fill over. The remote control is a bonus feature that comes with the Char-Broil Deluxe. 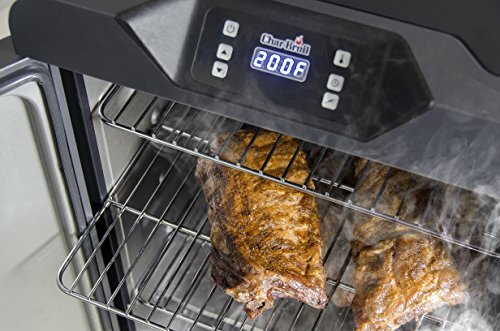 The control buttons match those found on the smoker, and the screen displays the information about cooking time and temperature. As mentioned previously, this is the least durable part of the package, so it won’t take as much abuse as the smoker will. Also, the signal seemed to sometimes drop after ten feet which kind of defeats the purpose. The insulation between the walls helps to prevent the walls of the smoker from becoming hot to the touch (remember the glass on the front door does not do this). There is a built-in safety feature that will shut the smoker down if it goes over 19-hours in operation without interruption. Along with the one-year warranty, the manufacturer offers all replacement parts for sale from their website. The Char-Broil Deluxe Digital Electric Smoker looks tough. It comes with a dual-tone finish of black and metallic colors. The rounded edges of the top, the built-in handle, and the depressed digital readout give it a modern look. The exterior walls are stainless steel, providing plenty of strength to hold up to the heat and regular use. The insulation between the dual walls of this unit does its job by keeping the heat inside the smoker. The inner walls of the Char-Broil Deluxe are made out of an aluminized steel. The glass on the front door is durable, but it should be noted that this is the one area that heat will radiate from. This glass can get damn hot, so watch it! A stainless steel latch secures the door tightly and provides a smoke-tight seal. Its four cooking racks are made of chrome plated wire. The other smoker components are made from a material similar to the interior walls. 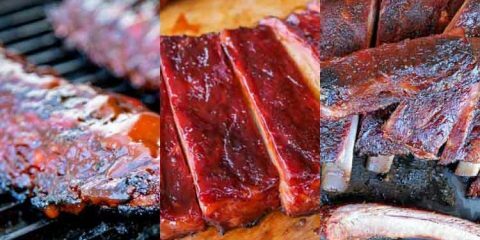 You will want to preheat the smoker before each use. This will allow the wood chips to begin smoking before you put the meat in. Remyember to keep the water pan and smoke box in place, even if you are not using them. To pre-heat, use the temp button and the directional buttons until the letters “PH” is displayed. This will start the automatic cycle which runs for about 40-minutes. When finished, the display will blink and you will hear audible beeps. NOTE: No matter which way you use the smoker, you will need to set the temperature. The display is set on default to Fahrenheit but can be switched to Celsius. 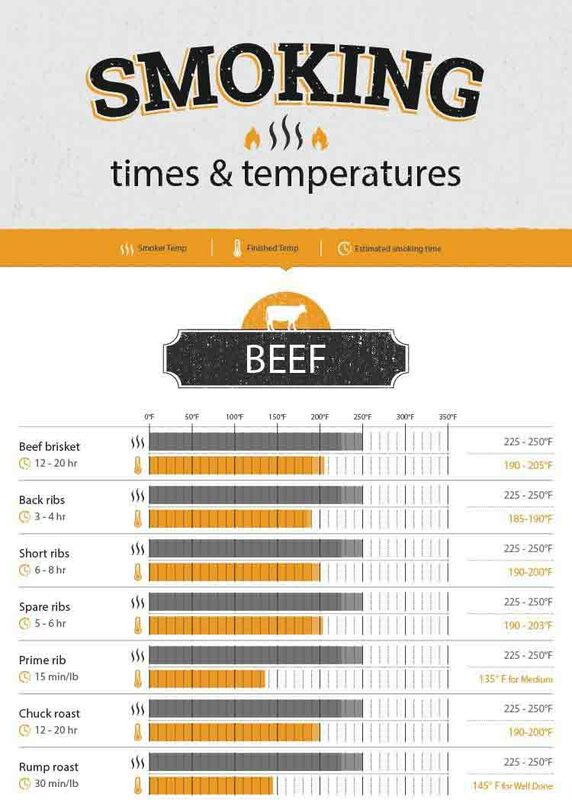 The temperature ranges between 100-275 Fahrenheit (the lower temperature is great for cold smoking your meats). You can set the timer from between 00:00-19:00 hours. The display will alternate between the timer and the temperature reading as the unit operates. When the timer is finished the unit will drop the temperature and emit audible beeps until you shut it down. 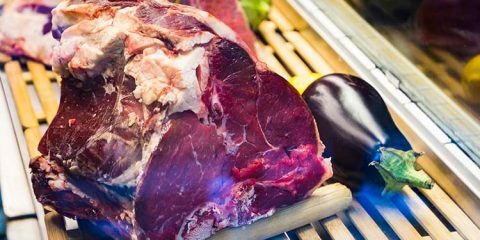 When using the probe, the unit will smoke until the meat reaches the desired internal temperature. When setting up in this mode you will have to adjust the level of the internal temperature you desire. When the target temperature is reached, the unit will cool down as before. If you use the smoker box, not that you do not have to use water on the wood (all the water will do is make it take longer for the chips to start smoking). Follow the instructions that are included that indicate the amount of wood you need to use, as well as the type to use for different flavors. Remember to keep the smoker box in the unit, even if you do not plan to use wood chips. 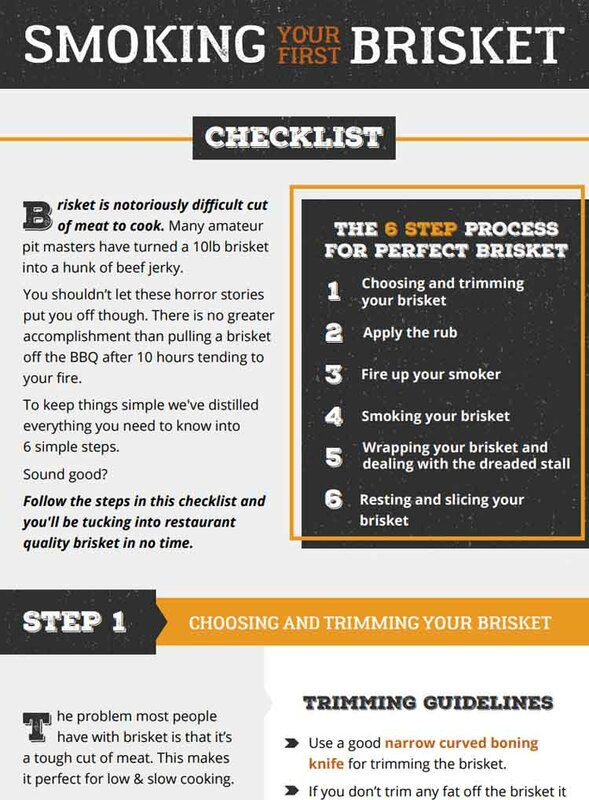 We have another guide that goes into more tips for cooking with an electric smoker. The Char-Broil Deluxe Digital Electric Smoker has a lot going for it. From the moment you plug it in, you are less than an hour away from starting to smoke your favorite meats. A roomy smoker box allows you to visit with guests instead of hovering over your smoker. 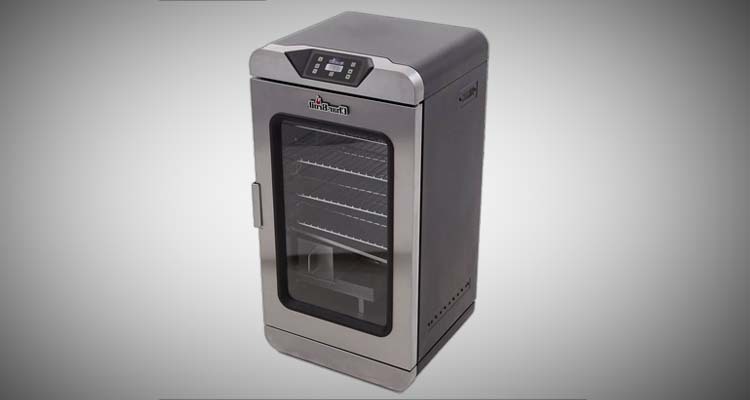 A mix of state of the art electronics and durable design, this smoker will have you sitting with family and friends at the dinner table with less stress and more time than with your old smoker. As the saying goes, where there is smoke, there is a happy eater!